The information below contains important deadlines and other information regarding the abstract submission process. If you have any questions or need additional information, please contact Sara Ortega at [email protected]. Please review the following teaching methods and select the format that best represents how you would develop and deliver your presentation. Purpose: These 30-minute sessions are an opportunity to share critical information about patients, families, the healthcare system, community, society, advocacy, and their intricate interactions. As adult learners, family medicine students, residents, and faculty most need to understand how to use information, rather than just receiving it. The focus of these sessions should be on creation of tangible ideas, thoughts, or plans from the knowledge, rather than just the giving and receiving of knowledge. Purpose: To provide a hands-on session on common procedures. Workshops may be repeated. Presenters are responsible for all workshop supplies, set up and clean up. Please be prepared for at least 40 participants. Beginner - This level of workshop should be aimed at students and residents. Intermediate - This level of workshop should be aimed at residents and physicians. Purpose: To give practical information and methods to enhance practice improvement through health information and patient education efforts. Seminars should include a combination of presentation and active involvement of participants. Preference will be given to presentations that maximize use of learning time and those that actively involve the learners. Audience participation is required; Q&A alone is not sufficient. Purpose: To present a scenario or case that learner would encounter in practice, which may be medical, systems-based, or educational. The focus of the session will be on working through the problem in small groups and devising reasonable and workable solutions. Purpose: To report on unique history and physical finding, difficult-to-make diagnoses, or common conditions with unusual presentations. The focus of the session will be on presentation of interesting cases for the audience to learn from. Purpose: To provide multiple speakers to give brief presentations and answer questions. Purpose: To provide an open venue for engaging in guided in-depth discussions, giving and receiving targeted feedback, and meeting colleagues with similar interests. 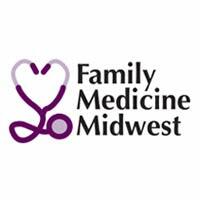 Purpose: To provide an opportunity to present about research, scholarship, curricular design, teaching programs, community service, quality improvement or other topics of interest to family medicine. Purpose: This one-hour session will feature up to 10 presenters who will each have 5 minutes to present a great idea to improve education, healthcare, or health. These do not need to be works-in-progress, papers, or anything more than a bright idea. These sessions will not be peer-reviewed, but are intended as a chance to foster collaboration and connection. Presenters will be limited to a single-slide format. Purpose: To provide an opportunity for one-on-one discussion of a presenter's innovative project or research in practice improvement through health information or patient education. Printing and delivery of poster are solely the responsibility of the presenter. Electronic or print distribution of handouts is encouraged; audiovisual equipment not provided, bulletin board & push pins will be provided. Please note: Students are given the highest priority for acceptance, followed by residents.Time: 30 minutes of presenting, please see the 2019 Poster Presentation Guide for information regarding set up and take down. Questions regarding abstracts or your submission? Please contact Sara Ortega at [email protected].